Obviously The Recession isn’t over yet, but our fingers are globally crossed. Indeed. 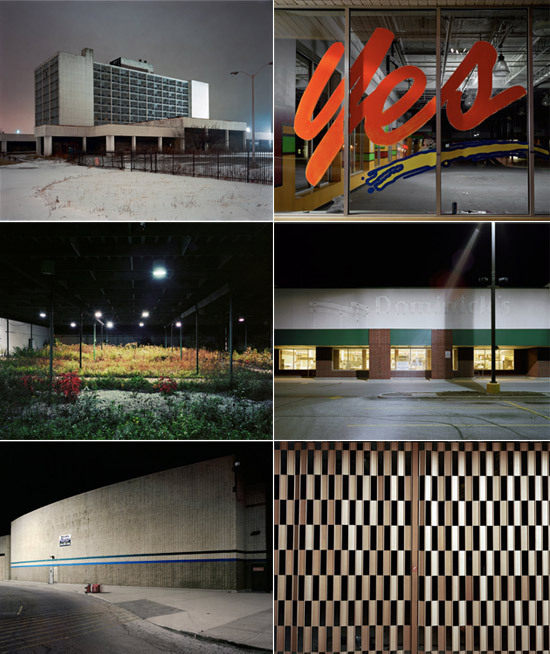 Meanwhile, photographer Brian Ulrich has been shooting abandoned and defeated shopping malls, stores and pretty much anything formerly retail for the past seven years. Much of this time frame overlapped nicely with our current economic climate. Above are selected shots from this collection, titled Copia. This project explores not only the everyday activities of shopping, but the economic, cultural, social, and political implications of commercialism and the roles we play in self-destruction, over-consumption, and as targets of marketing and advertising.